Major fuselage sections of the first 777X aircraft have entered Boeing’s fuselage assembly center in Everett wide body plant. 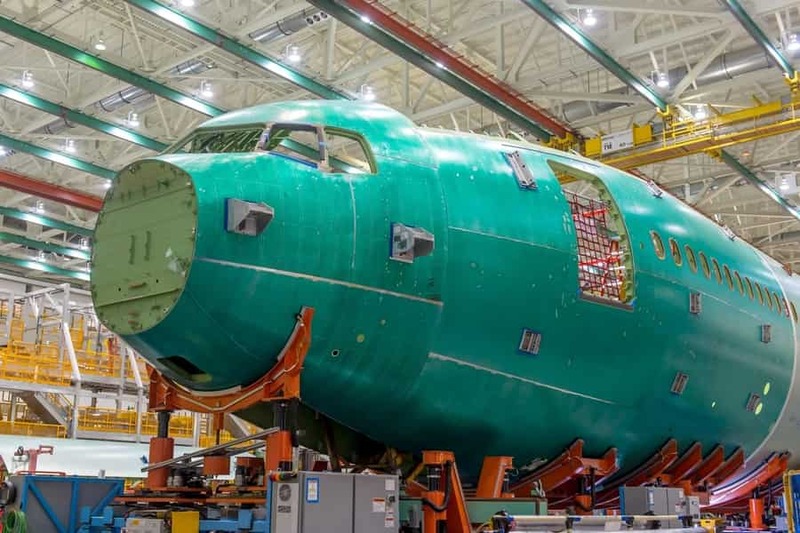 In a tweeted photo on March 23rd, (see picture) Boeing showed the first Section 41—the company’s internal designation for the nose and forward fuselage—entered the 40-47 bay of the Everett factory. The first 777-9 version of the 777X family to enter fuselage assembly will be used for static testing on the ground, Boeing says. Inside the 40-47 bay, Section 41 will be joined to the center and aft fuselage sections, using a new process introduced two years ago on the 777-300ER and 777-200LR programs. 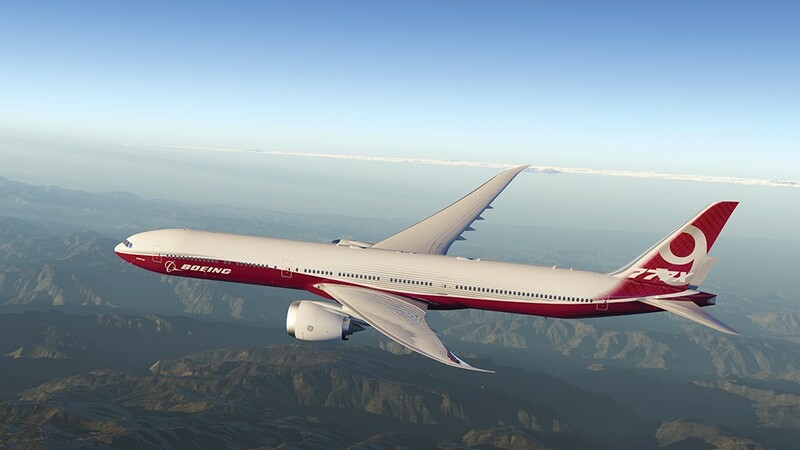 Instead of loading the assemblies into a rotating tool fixture, Boeing will mate the 777X using automated upgrade build (FAUB) procession which sections are loaded into movable cradles and are mated together using mostly robots for drilling and fastening. Later this year, the assembled fuselage will be moved to the final assembly bay for the 777X, where it will be joined with the aircraft’s first new composite wings. Boeing introduced the first 777-9 wingspan into assembly last year for the static test airplane. During final assembly, Boeing also mates the fuselage with the wings, onboard systems and the GE Aviation GE9X engines. The 777-9 program is scheduled to enter flight testing in 2019 and enter service with launch customer Emirates in 2020.The longer-range 777-8 will enter service two years later. Final assembly of the first A380 for All Nippon Airways is set to start this month. 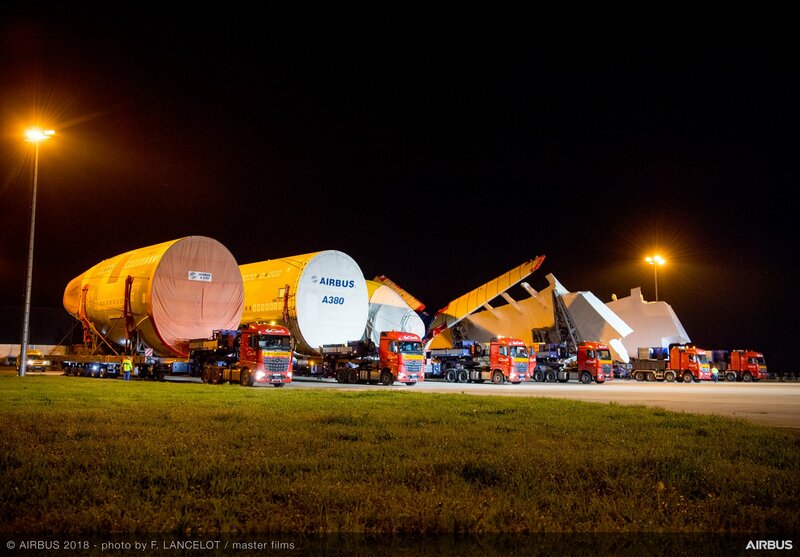 The main sections of the first A380 for Japan’s All Nippon Airways(ANA) have arrived at the Airbus final assembly line in Toulouse, France via a special convoy, with six subassemblies—the nose, central and aft fuselage sections, the tailplane, and the two wings. ANA Holdings placed a firm order for three A380s in 2016, becoming the first customer for the A380 in Japan. The first delivery is scheduled early in 2019, and the A380 will initially be operated on the Tokyo-Honolulu route. 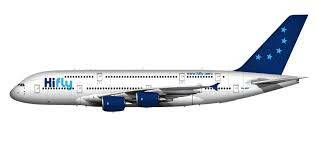 ANA’s A380 will feature a special Hono Hawaiian green sea turtle livery, symbolizing good luck and prosperity. Gulfstream AeroSpace delivered a fourth G650ER to Qatar Airways for its Qatar Executive commercial charter service. 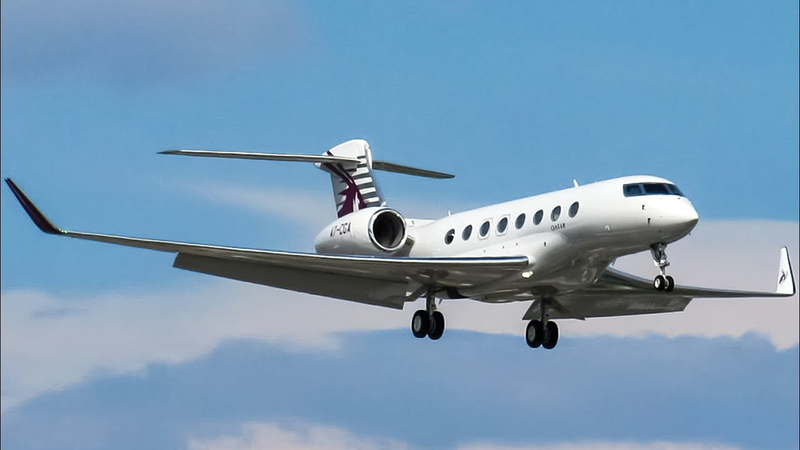 With the delivery, Qatar Executive becomes the largest single owner and operator of G650ER aircraft, Gulfstream said. The delivery will help meet increased demand for a longer-range private air travel by Qatar customers, Qatar Airways said. Gulfstream’s partnership with Qatar Airways began in 2014 when it became the launch customer for the Gulfstream G500. Since then, Qatar Airways has signed orders and options for up to 30 Gulfstream aircraft that include the G650ER,the G500 and the G600. Cambodia Bayon Airlines (Phnom Penh) is a new airline in Cambodia which selected the Xian MA 60 to fly domestic operations between Phnom Penh and Siem Reap. The airline received its AOC on December 23, 2014. 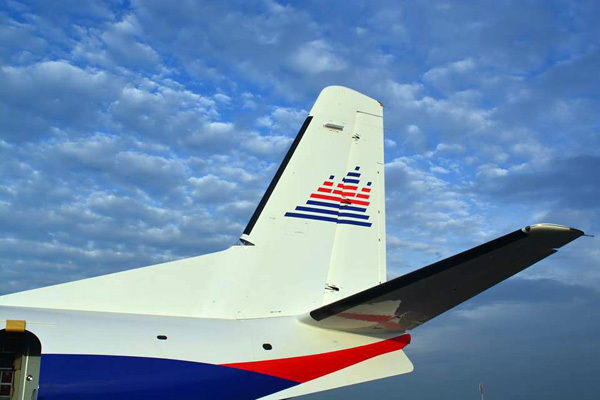 Cambodia Bayon Airlines is a wholly owned subsidiary of Bayon Airlines Holdings which was established in April 2014. Bayon Airlines plans to introduce 20 MA60 aircraft and 10 Airbus A320 aircraft within five years to build route network which covers Cambodia and services to Japan , China and Korea. Little bit about the MA60…it is a stretched version of the Xian A7-200A which was produced on the An24 to operate in rugged conditions with limited ground support and short take-off and landing(STOL) capability. The MA60 has not applied for FAA(US) and EASA(Europe) type certification and is not certified for use in the US and the European Union. The China Southern Airlines Group is currently scheduled to take delivery of 309 aircraft over the next three years, with nearly half of those set to arrive this year. Over 2018 the carrier will take delivery of 115 aircraft, comprising of 61 Boeing 737-800s,39 Airbus A320 family jets,10 787-9s and five A330-300s.It will retire 29 aircraft, thus ending the year with an estimated 840 aircraft-up from 2017’s 754. 2019 will see the addition of 105 aircraft, comprising of 45 Boeing 737-800s, 42 A320 family jets, seven 787-9s, six A350-900s and five 777-300ERs. It will end the year with 916 aircraft, after 29 retirements. 2020 will see 89 additions, again with the 737-800s forming the bulk of the deliveries at 51, followed by 24 A320 family aircraft, six A350-900s, five 787-9s and three 777-300ERs.With 26 planned retirements, it will end the year with 979 aircraft. China Southern is the largest airline group in China by fleet size. Besides China Southern, the group also has stakes in a list of carriers including Xiamen Airlines, Shantou Airlines, Zhuhai Airlines, Guizhou Airlines, Chongqing Airlines and Hebei Airlines. 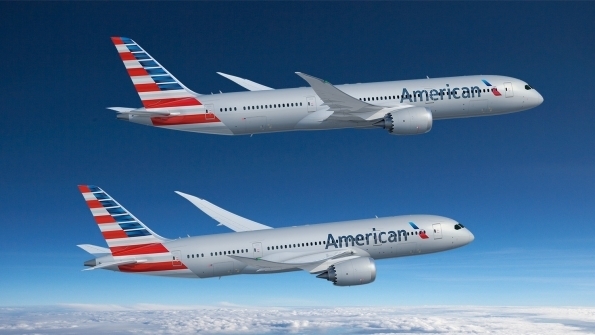 American Airlines has ordered 47 Boeing 787s on April 6 and canceling its order for 22 Airbus A350s.The 787 order consists of 22 787-8s to begin arriving in 2020 and 25 787-9s scheduled to begin arriving in 2023 American said. The 787-8s will replace American’s Boeing 767-300s, while later 787-9 deliveries will replace Airbus A330-300s and older 777-200s.All the 787s will be powered by GE Aviation GEnx-1B engines. The order is valued at $12 billion at list prices, says Boeing. As part of the deal, American is also deferring the delivery of 40 Boeing 737 MAX narrowbodies. Boeing says that the order is a new deal from American and not an exercise of the carrier’s options for 58 787s. American will be the largest operator of the 787 in the western hemisphere, with 89 aircraft. ANA, the Japanese carrier that was the launch customer for the Dreamliner, is the largest operator of 787s, while lessor AerCap is the largest 787owner. Aviation Partners Boeing (APB) announced on March 26 that Ethiopian Airlines has become the first operator in Northern Africa of its Split Scimitar Winglet Technology. The first installation of the System was completed on March 20th,2018 in Addis Ababa. Ethiopian Airlines intends to install the Winglets on its fleet of Boeing Next Generation 737-700 and 737-800 aircraft. Aviation Partners’ latest Winglet design, the Split Scimitar Winglet, uses existing Blended Winglets technology but adds new aerodynamic Scimitar tips and a large ventral strake, further increasing the efficiency of the airplane. The Split Scimitar Winglet modification reduces Boeing Next-Generation 737 block fuel consumption by up to an additional 2.2% over the Blended Winglets alone. The Split Scimitar Winglet System will reduce Ethiopian Airline’s annual fuel requirements by more than 275,000 liters per aircraft and their carbon dioxide emissions by over 700tons per aircraft per year. Ukraine International Airlines will take delivery of 10 aircraft in 2018, comprising of four 737-800s, four 777-200ERs and two Embraer E190s. Spirit Airlines agreed to purchase 14 Airbus A319-100s off-lease from AerCap. Avolon delivered one Boeing 787-9 aircraft to Virgin Atlantic. This is the fourth Avolon aircraft on lease to Virgin Atlantic. Jet Airways announced a new order for 75 737 MAX. The new deal is in addition to a similar number of 737 Max 8s of firm orders and purchase rights that was announced at the 2015 Dubai air show. Air Lease has firmed up an order for eight additional Boeing 737 Max 8 aircraft, valued at almost $939 million at list prices. 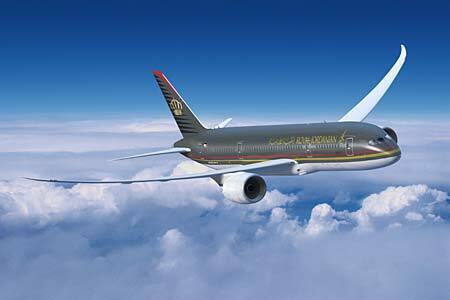 Royal Jordanian Airlines improved on-time performance to rank third in the Middle East and Africa. 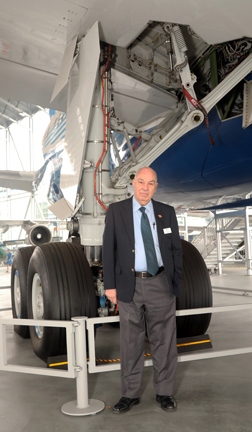 Hi Fly Portuguese long-haul wet-lease specialist is to become the latest operator of the Airbus A380, with planes to take delivery of the type around the middle of this year. LOT Polish Airlines received its first 787-9 after a 9h 20 min flight from Everett Paine Field to Warsaw Chopin Airport. Lessor BOC Aviation has signed a purchase agreement with Boeing for six 787-9s, in a deal valued at $1.69 billion at list prices. All Nippon Airways(ANA) has finalized an order for two 777-200LRFs valued at $678 million at list prices. 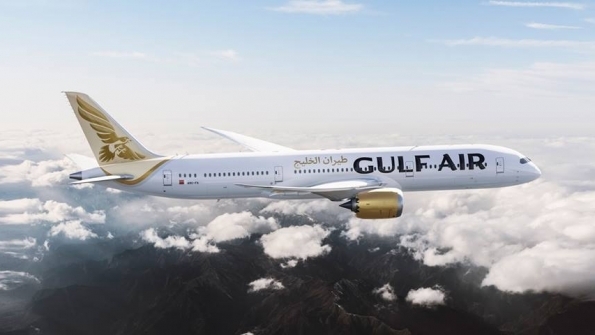 Gulf Air reveals new branding as it took delivery of its first delivery 787-9 on April 6th. AirBridgeCargo Airlines(ABC) will become the fifth freighter operator to provide scheduled services at Rickenbacker International Airport in Columbus, Ohio. The Russia-based carrier joins a network of logistics service providers at the US cargo-dedicated airport, which is located within a one-day drive to nearly half of the US population and one third of the Canadian population. ABC’s inaugural flight landed at Rickenbacker on April 5th, and weekly flights will continue on Thursdays, carrying freight inbound from the airlines global hub in Moscow and returning to Moscow through Liege, Belgium. The carrier will employ its fleet of 747 freighters that provide up to 139 tons of capacity. 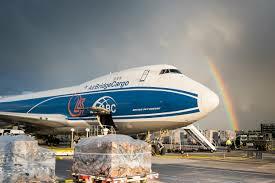 ABC joins Cargolux, Cathay Pacific Cargo, Emirates SkyCargo and Etihad Cargo as freight carriers that operate up to 15 weekly international lights at Rickenbacker International Airport(LCK). 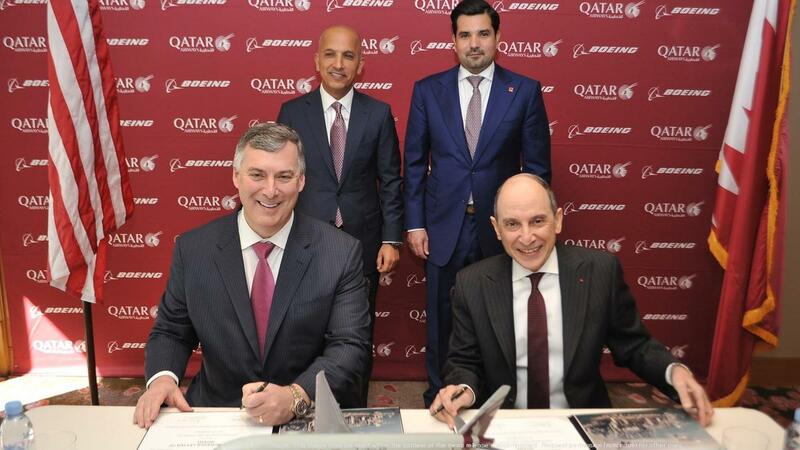 On April 10 Qatar Airways signed a letter of intent(LOI) with Boeing to buy five 777-200LR Freighters, worth $1.7 billion at list prices, the airline said in a statement. Al Baker And Boeing Commercial Airplanes President and CEO Kevin McAllister met in Doha to sign the preliminary agreement. Qatar has taken delivery of 13 out of 16 Boeing 777 Freighters orders in 2006, and has 60 of the next generation jets on order, according to Boeing’s orders and deliveries website. The order will be posted on Boeing’s orders and deliveries website once the purchase is finalized the statement said. Rolls-Royce is preparing to demonstrate part of Intelligent Insights a suite of tools launched under the IntelligentEngine program. The first of those tools, Technical Insight uses natural language processing techniques to read engine maintenance logs, combining its findings with cloud-based inputs from other data sources. 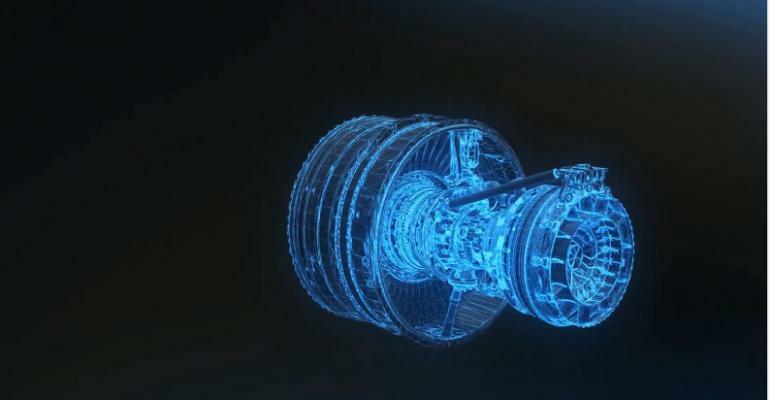 “Insights are then delivered via visualization tools for the line maintenance environment in an easy-to-use append via the Rolls-Royce portal”, says Rolls-Royce in a statement. If It works as intended, the tool should make mechanics’ lives easier, removing the need to cross-check various sources of information and presenting important data in an accessible manner. The main goal is to improve dispatch reliability, but it will also be interesting to see how the new technology contributes to wider aims such as lifecycle management. Rolls-Royce has not said if Technical Insight was developed with outside help or purely in house. Safran Nacelles unveiled the NacelleLife service offering providing complete coverage of its set engine nacelle systems—including thrust reversers. Lufthansa Technik has a total component support agreement with Easter Jet for its Boeing 737NGs. AerFin signed a three-year TrueChoice Material Service Agreement with GE Aviation for serviceable OEM parts, advanced repair and technology upgrades for the CFM56,CF34 and CF-80C2 engines. Wheeltug was selected by Kenya Airways to provide its electric taxi systems for its Boeing 737NGs. Pratt & Whitney was selected by JetBlue Airways to supply GTF engines for another 85 Airbus A320neo family aircraft; the deal includes 15-year EngineWise service agreement.